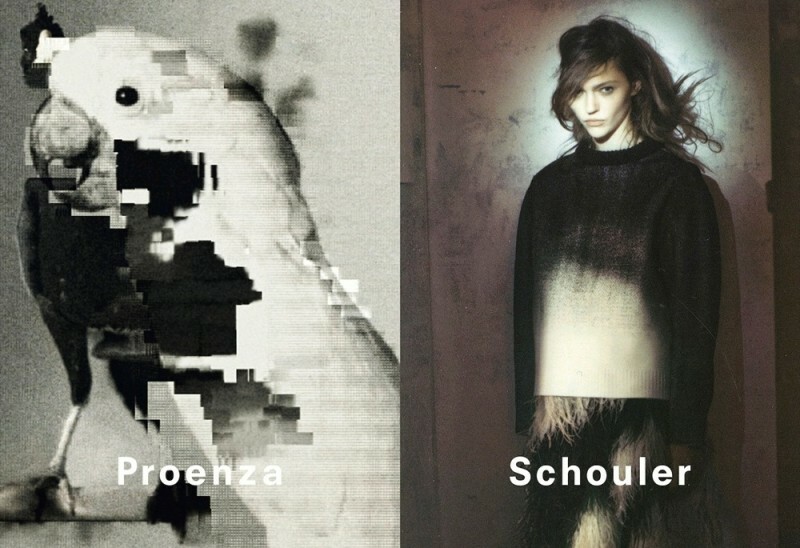 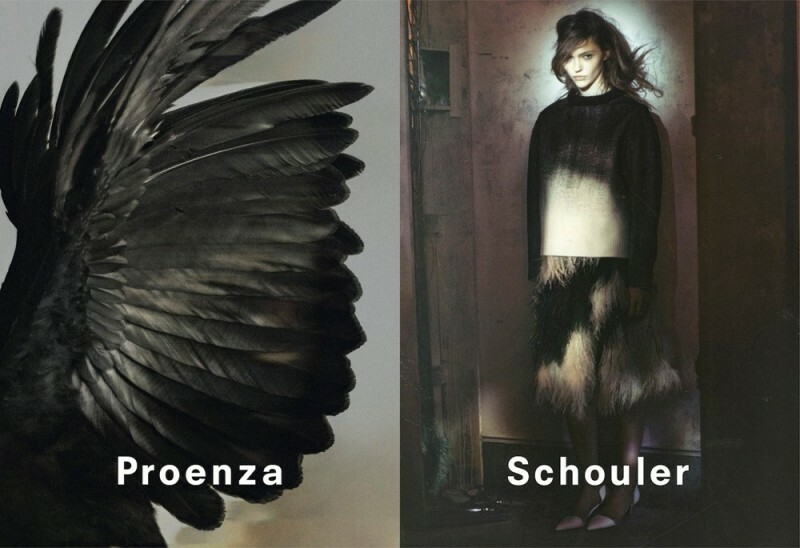 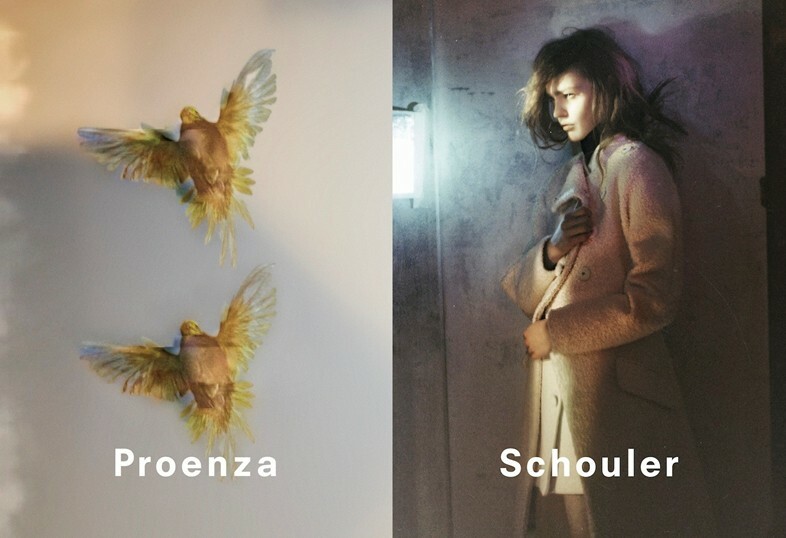 Beautiful and haunting images with surreal quality juxtapose birds photography (cockatoos, specifically) captured in flight or in digitally rendered details with some of the key design pieces from Proenza Schouler fall/winter 2013 collection, dressed on melancholic looking Sasha. 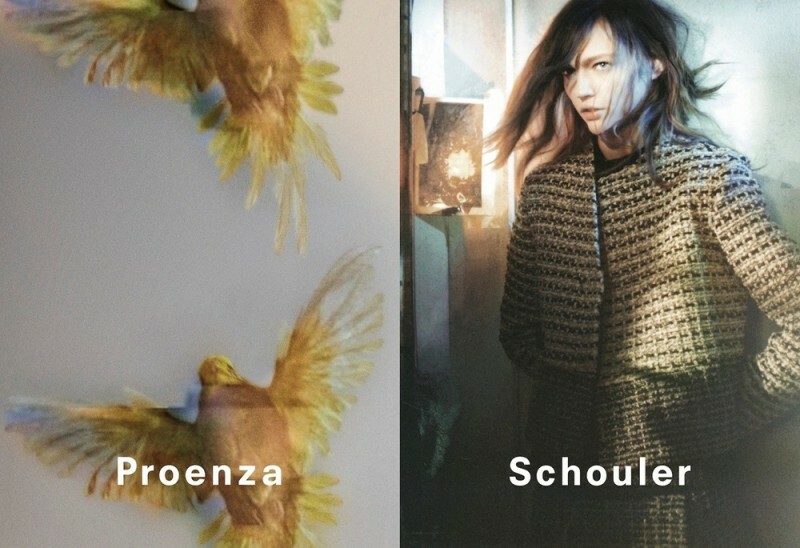 The video, directed by David Sims with Eddie the Wheel benefits from the psychedelic mood created by Muuy Biien’s atmospheric tune and from enchanting constellation imagery that add up and make this campaign a thrilling experience for the viewer. 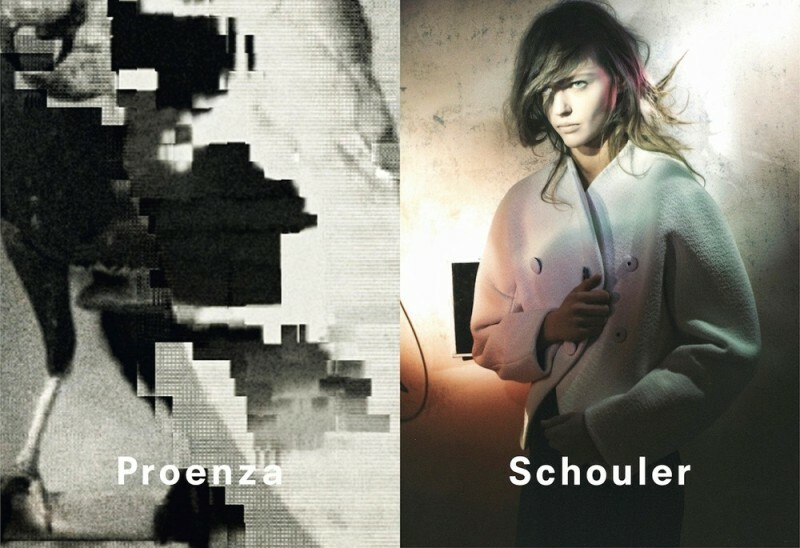 David Sims has had a very busy season this autumn adding to his already impressive resume advertising campaigns for Alexander McQueen, Jill Sander, Salvatore Ferragamo, Ermenegildo Zegna, Lacoste, Dunhill, Louis Vuitton Men, Prada Men as well as fashion editorials published in Vogue Paris, American Vogue, Another Man Magazine, Arena Homme Magazine plus the cover of the New York Times magazine, September/fall2013 issue featuring actress Rooney Mara.